Laid down, 29 September 1966, by Marinette Marine Corp., Marinette, WI. 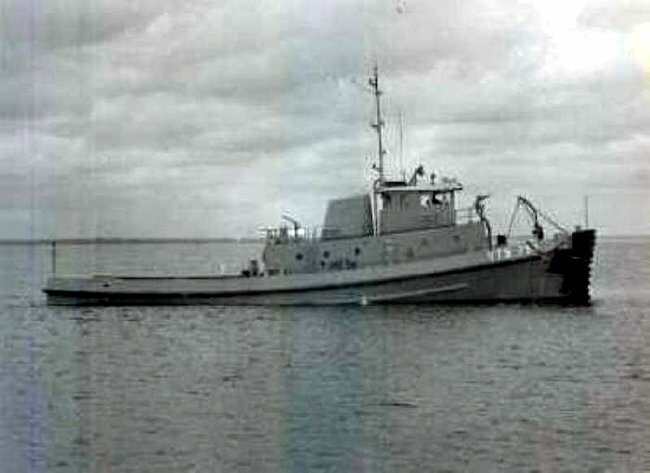 Delivered to the Navy, 10 July 1967, and placed in service as Piqua (YTB-793) in the 1st Naval District at Boston, MA. 42k Piqua (YTB-793) underway, probably in the Great Lakes off her builders yard, Marinette Marine Corp., Marinette, WI., shortly before being delivered to the US Navy in early July 1967. 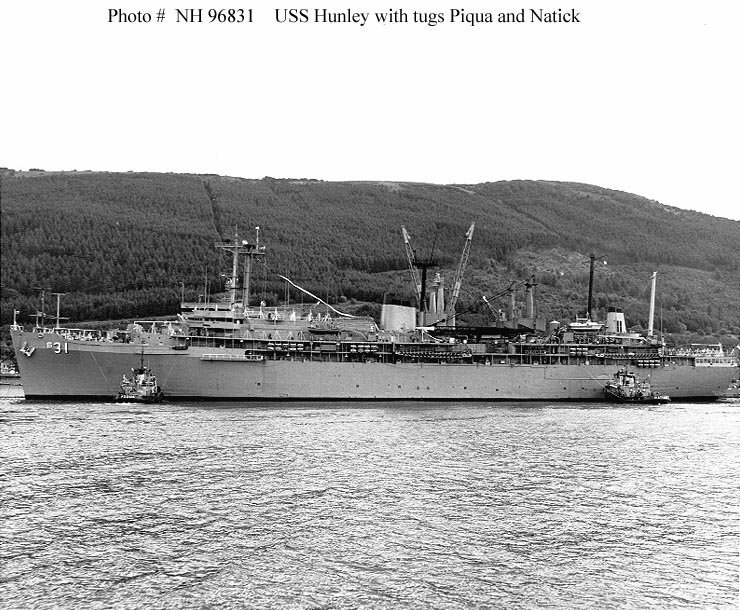 154k Piqua (YTB-793) and Natick (YTB-760) assisting Hunley (AS-31) into her anchorage at Holy Loch, Scotland. USS Simon Lake (AS-33) is on Hunley's opposite side, with masts, cranes and stack visible, June 1966. Photograph was received in June 1992. 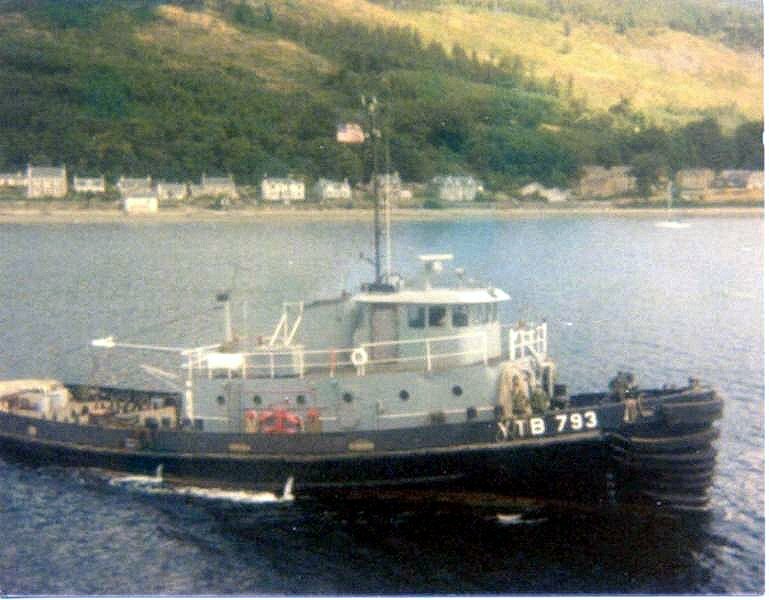 80k Piqua (YTB-793) underway at Holy Loch, Scotland, date unknown. 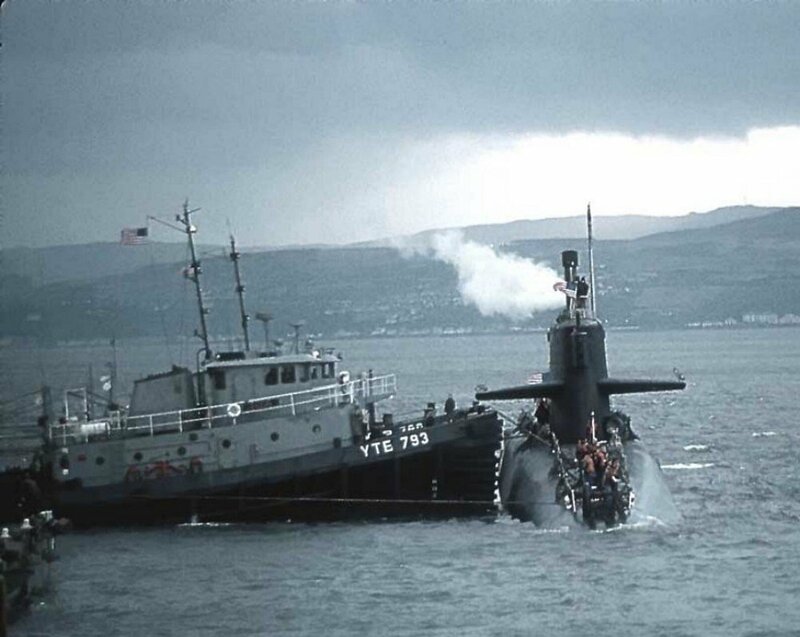 104k Piqua (YTB-793) with Natick (YTB-760) alongside to port, assists USS George Washington Carver (SSBN-656) at Holy Loch, Scotland, date unknown. 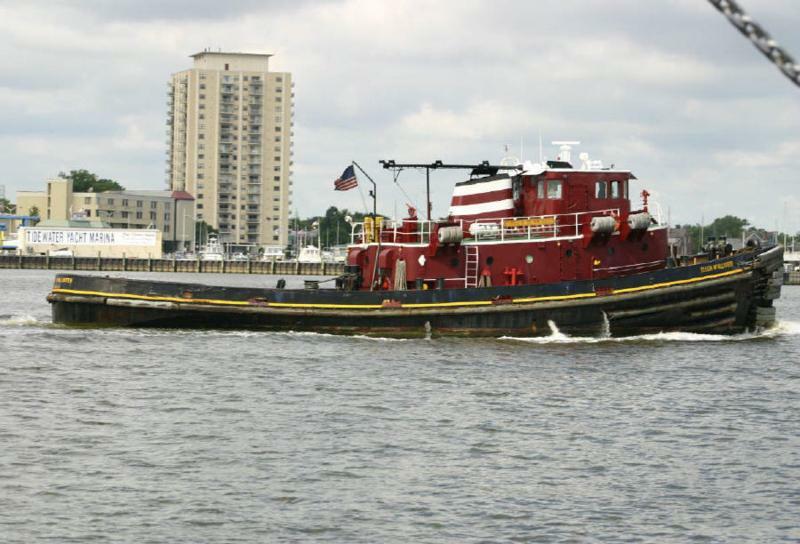 69k Ex-Piqua (YTB-793) underway in Hampton Roads, VA., date unknown, as the McAllister Towing and Transportation Co.'s tug Ellen McAllister.